Check Out My Workout Plan, it’s Awesome! The best way to develop an effective workout routine is to know what you want to achieve. Do you want to develop large muscles? Do you want to lose weight? No one wants to waste a lot of time in the gym and not get the results you are wanting. So, how do you make the most out of your workout, and make it effective? As long as you don’t have any sort of asthma, or knee troubles, choosing a great cardio work out can be highly beneficial. Make sure it’s something that you enjoy. Spinning can be very intense, but, it can be quite a bit of fun. Especially with a really fun teacher. So, don’t be afraid to try out different teachers. If you try a class, and you don’t enjoy it, always give it another chance with a different teacher. For a cardio workout to be even more effective workout routine, I find running sprints or doing interval training can me much more efficient than if you went for a steady pass the whole time. The reason for this is, during the resting phase, your body is catching up to the interval it just did. This tends to burn more body fat. I like to do one minute of hard work, and one minute of rest. If you need to start out slower, you can do 30 seconds of hard work and one minute of rest. Sometimes even two minutes of rest can be beneficial if your heart rate is getting up too high. Then, you can start to push yourself after a month or so. For a weight lifting workout routine to be really efficient, it’s always best to change our routine up often. It’s recommended to change it up every six weeks. However, when I’m working out, I change it up weekly. I always like to keep my body guessing, and never get used to what it is doing. The only way to make changes in the body, or even the mind for that matter, is to get out of our comfort zone. Staying in a comfort zone keeps us the same. So, sometimes we have to try new things. 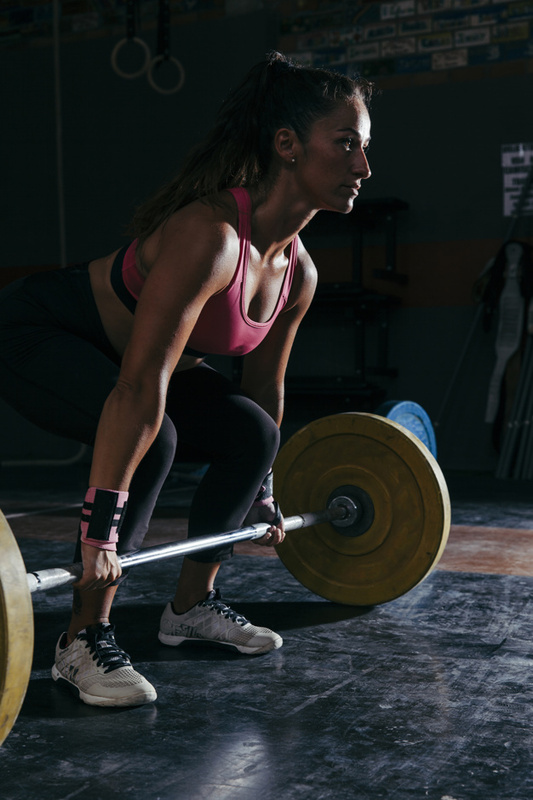 You can try lifting heavier weights, and going much slower than you normally lift at. Going really slow forces the negative contraction to happen. So, try doing less repetitions, going much slower, and raising the weight. You will build more muscle this way. Muscle burns more body fat, even at rest and this is perfect when it comes to an effective workout routine. There are many people out there in desperate need of solid information on how to lose belly fat. Cardio exercise workout routines are probably the best, to give you a fast 30 day start. Losing body fat is an all out war. It is not something that should take you years to do. What you need to do, if you are serious about getting rid of ugly fat then give yourself a solid 30 days of all out fat loss effort. What you will find, is that you are able to accomplish your goal a lot easier because of the short amount of time you have to go through uncomfortable situations. Then you can return to normal life for a while after an effective workout routine plan to speed up your progress. For 30 days you will focus on total body weight training and high intensity cardio exercise routines. My estimate is doing this particular workout routine has provided thousands of people with significant fat loss results. It works because it is extreme and it shocks the body into change, and rapid change. But remember, you are only going to be this aggressive for 30days. Once the 30days is up, you can return to a more normal and at a comfortable schedule.